How to Whiten Teeth with Baking Powder: Are your suffering from teeth discoloration or pale teeth? Many people search for home remedies to whiten their teeth to avoid expensive dental bleaching. Baking soda is a good home remedy to remove plaque or stain from the teeth. Mainly teeth discoloration occur due to overuse of coffee, tobacco, acidic drinks, smoking, sweet gums, excessive consumption of chocolate, jelly, certain medication and illness. You can use baking soda to whiten teeth which are easily available in the kitchen. Having pale or yellow teeth can be an embarrassment and it can dent your confidence. No matter how beautiful your smile is but without white and shining teeth it’s incomplete. For many people, regular brushing and flossing aren’t enough to remove stains. 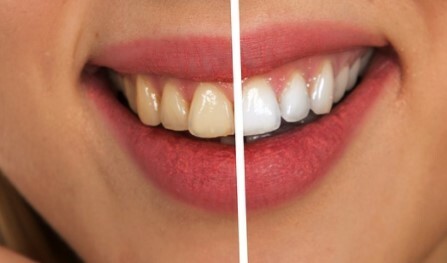 So, to remove stain and plaque you need dental bleaching and that can be an expensive treatment. Baking soda is cheap, effective and safe (if used carefully) home remedy to remove the stain, plaque and prevent discoloration. 1 How does baking soda whiten your teeth? 2.1 Is it safe to whiten teeth with baking soda? How does baking soda whiten your teeth? Baking soda or sodium bicarbonate, a mild abrasive agent. 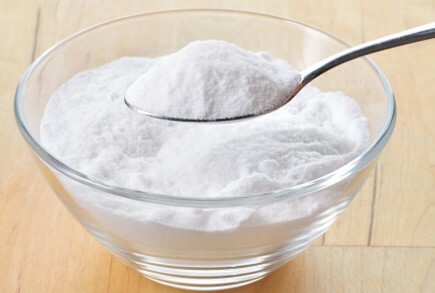 Due to antibacterial properties of baking soda, it helps to kill bacteria. It forms an alkaline solution when mix with water and help to whiten teeth. Brushing with baking soda also prevents tooth decay, cavity formation and gum diseases. Baking soda also helps to remove bad odor coming from the mouth. There are many causes for tooth discoloration and the answer isn’t as simple as you think. There could be many reasons behind your yellow or discolored teeth. Major causes of tooth discoloration include. Food and Drink: Excessive use of foods like Coffee, chocolate, tea, soft drinks, wines, and certain fruits and vegetables can cause staining on your teeth. Tobacco and smoking can cause a stain or yellow teeth. Poor dental hygiene: not brushing and flossing your teeth regularly can lead to staining on teeth. Aging can also cause staining of the teeth. Medication: Use of antibiotics tetracycline and doxycycline can cause discoloration of teeth. 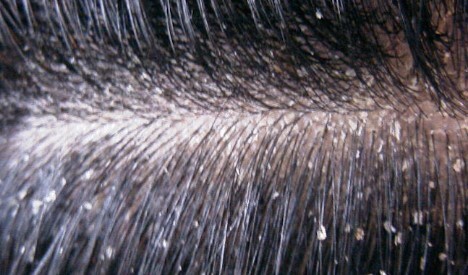 Disease: Several diseases can cause you teeth discoloration such as neck radiation and chemotherapy. Are you looking for a home remedy to whiten teeth in two days? Baking soda with water is the ultimate remedy to whiten teeth within two days. Make a thick paste of one tablespoon of baking soda and two tablespoons of water. Now, put the paste on your toothbrush and brush your teeth for two minutes. Wash your mouth completely with normal water. You can see the difference instantly. Use this remedy once or twice in a week not more than that. Hydrogen peroxide is a good home remedy to whiten teeth. You can get it from the drugstore and only 3% solution is safe to use orally. So please check with chemist first before use. It can be used as an antibacterial mouthwash. Take one tablespoon of hydrogen peroxide and two tablespoons of baking soda. Now mix them well and brush your teeth with this paste for two minutes. Wash your mouth with water completely. Another an effective home remedy for teeth whitening. 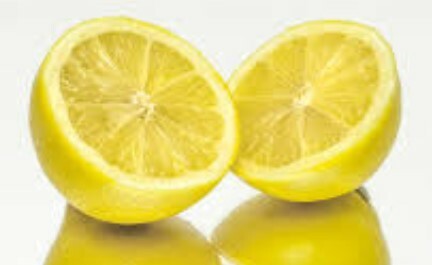 Lemon contains citric acid which works as a natural bleaching agent. Make sure you do not use this method very often because excessive use of citric acid present in lemon or lime juice is corrosive in nature and it can damage your teeth. Take one teaspoon of lemon juice and two teaspoons of baking soda. Mix them well to make a fine paste and brush your teeth with this mixture for two minutes. Wash your mouth with water or mouthwash. Toothpaste contains fluoride which prevents cavities and makes the tooth enamel stronger. Baking soda with toothpaste is the safest home remedy for the whitening tooth. Take one tablespoon of baking soda and two tablespoons of toothpaste. Mix them well and brush your teeth with this mixture for two minutes. Wash your mouth with water completely. Alternatively, you can sprinkle some baking soda on a regular amount of your toothpaste while brushing your teeth. 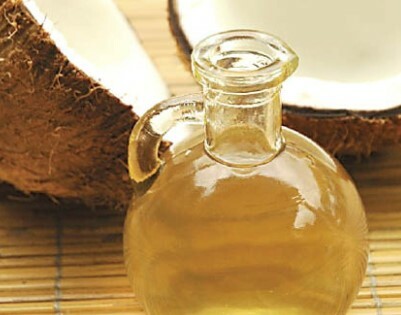 Coconut oil contains lauric acid which helps to improve oral hygiene and remove harmful bacteria from the mouth. You can make a natural toothpaste for whitening teeth by mixing coconut oil and baking soda. Mix one tablespoon baking soda with one tablespoon of coconut oil. Brush your teeth with this mixture for two minutes. Then wash your mouth with mouthwash or water. You can see that your teeth get whiten in five minutes. Strawberries are very tasty fruit and it has ascorbic acid which acts as a bleaching agent to Make Teeth White. Make sure you do not use this home remedy, not more than twice in a month to prevent any damage to your gum and tooth enamel. Take 3 strawberries and mash them well. Now add one tablespoon of baking soda and pinch of salt in it. Mix all of them well to make a thick paste and brush your teeth with this mixture for two minutes. Baking Soda and Peppermint Extract is a good home remedy to get white teeth in one day. Peppermint helps to improve overall hygiene of mouth and remove harmful bacteria. Mix a few drops of peppermint extract with baking soda and brush your teeth for 2 minutes. Now wash your mouth with water. 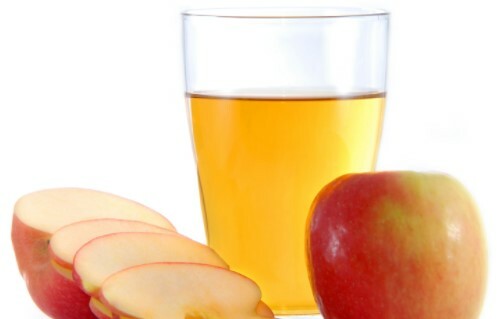 Due to the acidic nature of apple cider vinegar, it works as a natural teeth whitener. Apple cider vinegar is a good natural ingredient which has many benefits such used in whitening facial skin, get rid of bad breath and cure a sore throat. Take one tablespoon of baking soda and two tablespoons of apple cider vinegar. Mix them well and brush your teeth with this mixture for 1-2 minutes. Wash your mouth with water. Alternatively, you can gargle with a mixture of water and apple cider vinegar to make teeth whiter. Essential oil like tea tree oil has antibacterial properties which help in preventing teeth from plaque, decay, and gum disease. Take 2-3 drops tea tree oil and mix with baking soda to make a thick paste. Now brush your teeth with this mixture for one or two minutes. Rinse your mouth with water or mouthwash. Use this remedy once or twice in a week. Aloe vera gel is blessed with anti-inflammatory and anti-bacterial properties which help to remove harmful bacteria from the mouth. You can also add vegetable glycerin to baking soda and aloe vera gel mixture. Take the same amount of fresh aloe vera gel and vegetable glycerin, now mix with baking soda. Brush your teeth with this mixture for 1-2 minutes and rinse your mouth water. Use this home remedy once or twice in a week. Is it safe to whiten teeth with baking soda? Apart from whitening teeth baking soda has many benefits. It helps to prevent plaque formation, dental decay, cavity formation, and gum disease. Baking soda also stops bad breath and cure painful mouth ulcer. But after having so many benefits use of baking soda comes with some risks. Regular use of baking soda could damage the teeth enamel and that can lead to tooth cavity. As baking soda doesn’t contain fluoride it cannot strengthen your teeth. Excessive use of baking soda can make your teeth more sensitive towards hot and cold. So make sure you use it carefully. We recommend you that do not use baking soda more than twice in a week or more than five times in a month. When brushing your teeth with baking soda you should be aware of the risk involved in using it. Consult with the dentist if you have a sensitive tooth before using baking soda. Always brush your teeth with regular toothpaste. Baking soda is not good for regular use. If you wear braces which has orthodontic glue then do not use baking soda. Make sure you make baking soda paste as smooth as possible. Don’t brush your teeth more than 2 minutes with baking soda paste. Avoid using baking soda more than 2 times in a week. Everyone desire to have a beautiful smile but without white teeth, it is not possible. Teeth discoloration occur because of many factors like tea, coffee, wine, certain disease, and medication. 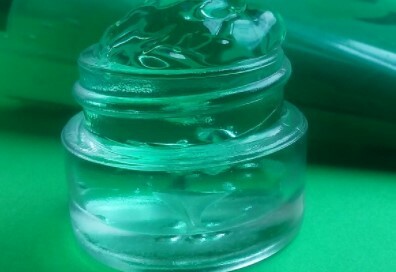 There are many over the counter gel and paste available in the market. And you can also go to a dentist for teeth bleaching but that can cost you a lot of money. Baking soda / Powder is a cheap and natural way to whiten your teeth at home. Please leave your feedback in the comment box. baking powder for teeth baking soda teeth whitening baking soda teeth whitening dangers brushing teeth with baking soda how to whiten teeth with baking powder is teeth whitening safe?